E Virtual Services pioneered the concept of business outsourcing in early 2006. Our main goal was to make the useful benefits of outsourcing available to small and mid-sized businesses, by providing reliable services at an affordable rate. We are a renowned outsourcing company, headquartered in Minnesota, offering reliable outsourcing services to clients in the US, Canada, UK, Australia, India and other countries. With our expertise in almost all of the outsourcing services, we pride ourselves as one of the premium business process outsourcing companies in India. E Virtual Services team is a melting pot of talent & experience, drawn from a variety of fields. Our highly versatile team understands the global perspectives of our customers. Our virtual assistant services let’s you focus on your business and the qualified virtual assistants complete your daily tasks whether it is to attending calls, managing e-mails, scheduling appointments. 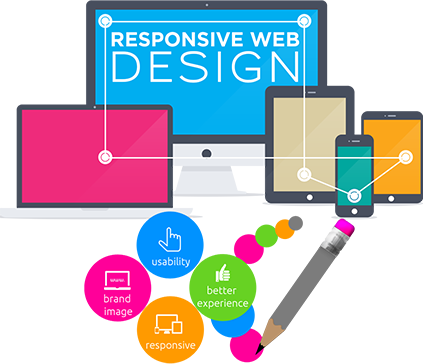 Experts at E-Virtual Services can provide specialized web services such as web designing, website redesign, web page creation with responsive technology and more. We offer reliable and cost effective website design services. We are a USA based/managed data entry company offering our precise data entry services to our customers around the globe. Our data entry experts have vast experience and they offer quality and quantity for every project, we do. EVS offers a wide range of accounting and bookkeeping services aimed at assisting small and medium scale organizations. The primary benefit of our services is that they save the most precious resource of the business. E-virtual services offers you the best way to manifest your dreams into the reality. We offer reliable and cost effective software services to our clients worldwide and access to the latest innovations instantly. E-virtual services deliver customized mobile application services for your business world, helping you manage and control your business while on the move. 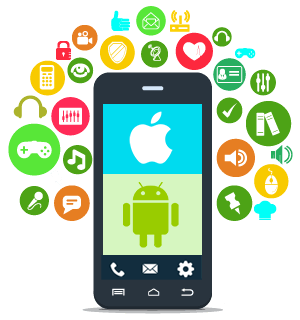 Our mobile application development services are affordable and cater. We know that in business time is money and that’s why we seldom miss the deadlines of the projects at hand. Our best in class services come at a pocket friendly rate. This way you get double benefit: value service and cost saving. Satisfaction is a big thing and that’s why we assure our clients of 100% satisfaction from our services. We have a strong support mechanism in place that you may access from anywhere round-the-clock. I learned about evirtualservices.com by surfing on the net. I had just written a book, "The Safety Pin: Holding Your Life Together When it's Bursting at the Seams." I needed expertise, guidance, support and patience. I needed a wider audience! Evirtual provided all of that! My website has been launched and I am well pleased!!! Thank you for being so professional and courteous! I recommend Evirtual to anyone interested in building a website!!! E virtual is comprised of extremely competent individuals. From setup to maintenance of our platform they have been terrific. I will recognize them for any start ups! Mohit is awesome and responsive! We are very pleased with the service and end product we received from E Virtual Services. The GateBox app works as requested and the art work is outstanding. Nice job everybody. The EVirtual staff has provided timely, accurate and economical support in developing both of my e-commerce web sites. My business depends on my web sites and my web sites depend on knowledge of complex coding and transaction processes - for which I know I can depend on EVirtual. eVirtual has done an amazing job building a new website, and creating several landing pages for my businesses. The service is affordable and the value is excellent. The team will not stop until you are 100% satisfied, which is why they are my go to team for web design, SEO, SEM work. Call Swati and Mohit today! Swati and her team did a wonderful job on my website. Even when I didn't understand the timing of the site they explained the process . Swati called when she had questions and they kept me informed by email. Once my site was complete they sent me a detail package of my site and how to maintain it. I am very happy with my site. EVIRTUAL SERVICES ARE HIGHLY RECOMMENDED FOR ANYBODY WANTING A START-UP WEB DESIGN. THE COMMUNITY IS VERY WELL-VERSED IN ALL APTITUDES WITH THE PENULTIMATE CUSTOMER SERVICE!!! Swati and the team understood my vision for my website based on just 2 phone calls and emails. They were able to bring the ideas that I had in my head into reality. They were patient and easy to work with. I am pleased with the end result. Every day we learn something new and useful that we want to share with you!